Do I Need One? How do I fix it? Your 404 page can be a opportunity to show that your brand has humans behind its marketing rather than robotic, cold, automated messages seen elsewhere. 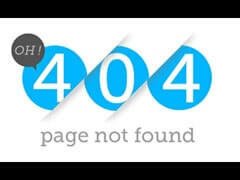 Move beyond the “this page is unavailable” or "404 - File Not Found"